From I-71 take exit 44, R on Hwy 227, R on W Jay Louden Road, R on Hwy 36, Left on Springmeadow into Hunters Ridge Subdivision, Property on the left. 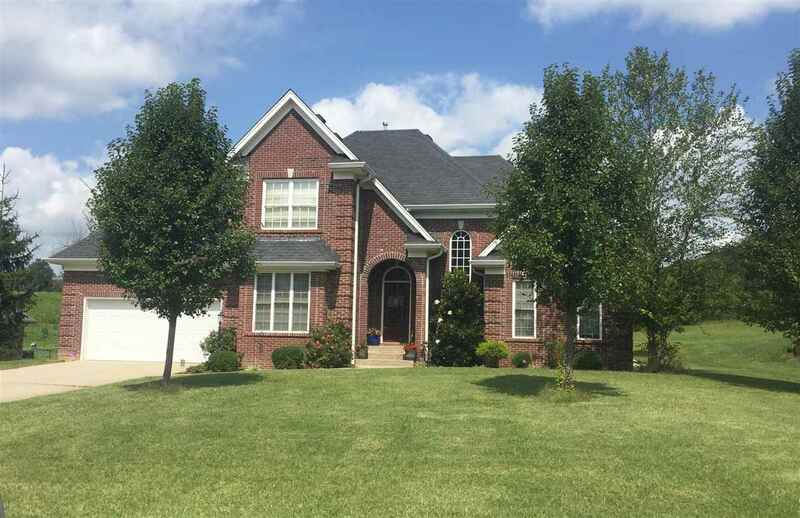 Don't miss your opportunity to own this contemporary style home located in Hunter's Ridge. This home features a great room w/ ceilings that soar two stories high, a gas log F/P & walkout to the rear deck. The kitchen features cherry finish cabinetry,a counter bar,ceramic tile flooring,and ss appliances. Just off the kitchen you will find a formal dining room complete with chandelier & chair rail.